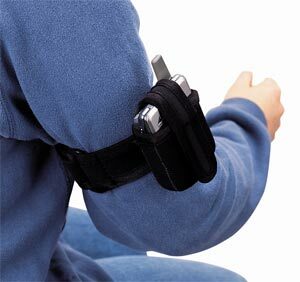 This convenient cell phone holder features a velcro backed strap for easy adjustment and allows the rider to wear it on the arm or around the boot. This style accomodates smaller flip phones and is made of black neoprene. A great way to always keep your cell phone within easy reach!